After a brief Arctic cool-down late during a much warmer than usual freeze season, sea ice extents tortuously rose out of record low daily ranges during mid-March. This feeble climb was enough to barely hit above 2017’s record low maximum extent. It did not, however, push the Arctic out of its present trend of long term declines. Moreover, we are again set on a very low platform for sea ice as we enter what is predicted to be a warmer than normal start to melt season. Arctic sea ice extent measured by JAXA and depicted above by Arctic observer Zack Labe, hit 13.89 million square kilometers on March 17th. Given the fact that warmer Arctic temperatures are now on the way, this is likely the furthest sea ice will extend in the northern polar region during 2018. By comparison, 2017 sea ice extent maxed out at 13.88 million square kilometers on March 6th of that year. As a result, 2017 just barely beat out 2018 as the lowest maximum extent in the satellite record according to JAXA. A brief spate of cooler than average temperatures contributed to a short period of expanding sea ice late during freeze season. This cool snap in a much warmer than normal winter overall, has now ended. And the forecast shows that warmer to much warmer weather for late March may well be on tap. Over the next week and a half, Arctic temperatures are expected to range between 0.2 to 0.8 C above average. This may not sound like much compared to the past winter which experienced long periods of 3-5 C above normal temperatures. However, the transition to spring and summer typically shows a regression toward baseline averages. In other words, since winter is where we are seeing most of the climate change related warming at present, even slightly warmer than normal temperatures during spring and summer can have an outsized impact. Especially following a very warm winter like the one we have just seen. Keeping this thought in mind, we are more likely to see slowly mounting sea ice losses over the coming days in various regions. Especially on the Pacific side of the Arctic — which is presently seeing above freezing temperatures running up through the Bering and well into the Chukchi seas. Given such a strong warm wind invasion over a key region of ice, we are very unlikely to see sea ice expansion beyond the present maximum. Looking at the long term forecast, we find that the Arctic is expected to experience substantial warming — especially for spring. And this warming may serve to accelerate melt beyond typical rates for this time of year. The tendency for Pacific emerging warm winds appears to be in place. And by April 1st, a large plume of abnormal warmth is expected to run up from the Pacific and Eastern Siberian side of the Arctic. This plume is forecast to spread deep into the High Arctic — driving overall temperatures for the zone to 4.1 C above average with local temperatures between 20 and 25 C above average. If the present forecast holds, this unseasonal flow will also result in large regions of the East Siberian Sea experiencing above freezing temperatures for brief periods. Taken in the greater context, if the predicted warm pattern of the next ten days becomes more of a trend for spring of 2018, then the near record low maximum of 2018 could well be followed by significant losses during melt season. Definitely a trend to keep an eye on. During 2017, the Arctic experienced much warmer than normal winter and fall temperatures. Meanwhile, according to NOAA’s 2017 Arctic Report Card, somewhat cool late spring and early summer temperatures did little to abate a larger ongoing warming trend. This warming trend was evidenced by continued systemic long term sea ice losses with NOAA stating that sea ice cover has continued to thin even as older, thicker ice comprised only 21 percent of Arctic Ocean coverage compared to 45 percent during 1985. NOAA noted very slow Chukchi and Barents sea ice re-freeze during fall of 2017 — which was a feature of much warmer than typical sea surface temperatures during late August. Temperatures which ranged up to 4 C above average for this time of year and that created a kind of heat barrier to typical fall ice cover expansion. NOAA also found evidence of ongoing increases in ocean productivity in the far north — which tends to be triggered by increasing temperature and rising ocean carbon uptake (also a driver of acidification). Other observations of systemic warming came as permafrost temperatures hit record levels during 2016. Decadal rates of permafrost warming as measured at Dead Horse along the North Slope of Alaska proceeded at a rate of 0.21 to 0.66 degrees Celsius every ten years. High latitude fire regimes appear to be responding rapidly to environmental changes associated with a warming climate; although highly variable, area burned has increased over the past several decades in much of Boreal North America. Most acreage burned in high latitude systems occurs during sporadic periods when lightning ignitions coincide with warm and dry weather that cures vegetation and elevates fire danger. Under a range of climate change scenarios, analyses using multiple approaches project significant increases (up to four-fold) in area burned in high latitude ecosystems by the end of the 21st century. Overall, NOAA calls for increased efforts to adapt to climate change in the far north. In addition, the need for mitigating harms from climate change by speeding a transfer to renewable energy could help to preserve cryosystems and ecosystems that are now under increasingly severe threat. Temperatures over the Chukchi Sea are predicted to hit as high as 37 degrees Fahrenheit (2.9 C) on Wednesday and Thursday as a massive high pressure ridge building over Alaska pulls warm, moist Pacific air northward. These temperatures represent staggering warmth for this Arctic Ocean zone during March when temperatures are typically about 54 degrees F (30 degrees C) cooler. This recent warm wind invasion is one of many observed over the past five years in which enormous bulges in the Jet Stream have pierced deep into what was once a mostly impenetrable pall of winter chill hanging over the Arctic. It’s a new atmospheric condition associated with rampant fossil fuel burning. One that has produced considerable damage to the Arctic environment by reducing sea ice coverage, threatening key species, melting glaciers and thawing permafrost. Such incursions of extreme warmth bear the obvious marks of a failing of Arctic cold brought on by human-forced climate change and have tended to generate significant spikes in overall Arctic surface temperatures during fall, winter, and spring. This week’s warm air invasion of the Chukchi is expected to help push readings for the entire region above the 66 degree north latitude line to 4.5 C (8 F) above average for this time of year. That’s a strong departure for this region during the month of March when the typically more uniform advance of warmth in the lower latitudes tends to strengthen the Jet Stream — locking in Polar winter conditions in the far north through about the middle of April. Far above average Arctic surface temperatures extending from October of 2016 through March of 2017 have been triggered again and again by these floods of warm air rising up from the south. And the net effect on Arctic sea ice volume has been little short of devastating. Arctic sea ice volume for both January and February of 2017 are now far below past record low trend lines for this time of year. Present record low monthly values for this past February are around 17,000 cubic kilometers vs previous record lows for the month during 2013 at around 19,500 cubic kilometers. Last February’s sea ice volume average of 17,000 cubic kilometers is about the same sea ice volume measured at the end of melt season in September of 1981. In other words, sea ice volume in winter now is comparable to sea ice volumes during the summers of the early 1980s. All the record warmth flooding into the Arctic during 2016 and 2017 has undoubtedly contributed to these new record lows for sea ice volume. And a cooling of the Arctic surface relative to recent record warmth during March and April could soften this worrying trend somewhat. 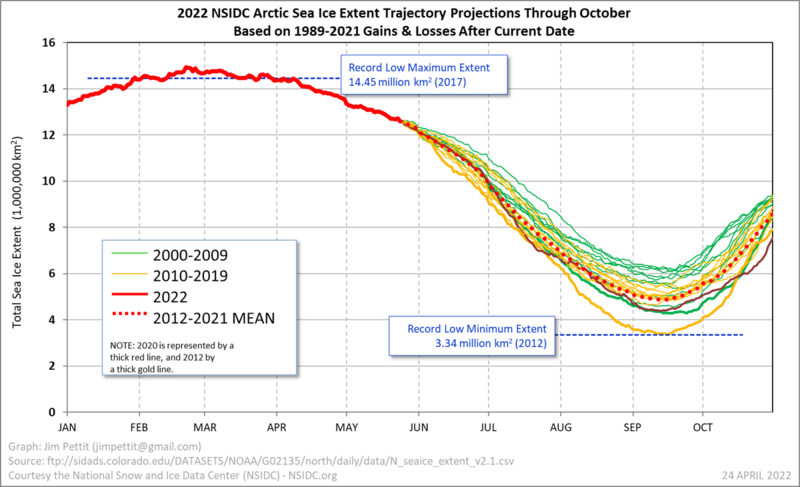 To this point, it is worth noting that sea ice extent measures are now closer to past record low trend lines. So there has been some slightly more hopeful inching back to slightly less ridiculously abnormal measures. A more positive movement that will likely take a hit as Arctic temperatures are predicted to significantly warm again this week. Weather, as we should note, can be quite variable and may bring a more pleasant surprise later in the month. However, despite this potential, sea ice states are looking as bad or worse than they ever have at the end of freeze season. And it is worth noting that less ice coverage and volume leaves more dark water open to absorb the sun’s springtime and summer rays and less ice to reflect it. Furthermore, post La Nina periods, as we are now experiencing, tend to flush more atmospheric and ocean heat into the Arctic. So, despite the variable nature of weather overall, we’re in a bit of a situation where the systemic trend odds of a noteworthy sea ice recovery toward more rational trend lines pre-summer 2017 aren’t looking very good. Throughout the record global heat of 2016 and on into 2017, the world’s sea ice has taken a merciless pounding. In the Northern Hemisphere, extreme warming of the polar region pushed Arctic sea ice extents to record low daily ranges throughout the winter, spring and fall of 2016. And even today, after many months of daily record lows, sea ice in the Arctic remains more reduced (in most measures) than it has ever been for this time of year. Anomalous warmth, though less intense than in the Arctic zone, did finally begin to invade the austral polar region during Southern Hemisphere spring and summer (2016-2017). And since mid October, sea ice surrounding Antarctica has remained in record low daily ranges (see lower red line on the graph above). Wednesday, February 1st’s, JAXA measure of 2.42 million square kilometers of sea ice extent remaining is now just about 170,000 square kilometers above the previous record low sea ice extent set during mid-to-late February of 1997. During this time of year, average drops in sea ice extent are around 50,000 square kilometers per day. So if all things were equal, we’d expect melt inertia to push the measure into new record low ranges over the next 3-5 days. Unfortunately, there appears to be an added impetus for melting as another blast of above average temperatures is being drawn into Antarctica underneath strong ridging features in the Southern Hemisphere Jet stream. As a result, over the next week, temperatures around Antarctica and in the nearby region of the Southern Ocean are expected to average between 1.2 and 1.8 C above the already warmer than normal 1979 through 2000 average. Meanwhile, parts of West Antarctica’s coastal zone are expected to hit as high as 5-20 C above that average. With more warmth on the way, with measures already striking nearly half a million square kilometers below previous daily record lows, and with at least two weeks remaining in the melt season, it appears likely that we are in for a new all-time record low for sea ice extent in the ocean region surrounding Antarctica. If the new record does occur, it will happen during a time when the Arctic is also experiencing daily record lows for sea ice during Northern Hemisphere winter and as the world is experiencing global temperatures in the range of 1 to 1.2 degrees Celsius above 1880s averages. Neven — one of the world’s most beloved sea ice trackers — has again taken a break from his much-earned sabbatical to issue yet one more warning on the state of global sea ice. His report, based on this month’s bombshell National Snow and Ice Data Center statement, can best be described as an urgent call for action on the part of the global community to redouble efforts aimed at reducing the wide-ranging and expanding harms caused by the terrible warming trend we have artificially forced upon our world. Neven is a kind, honest, and open soul. He is also one of the smartest and decent fellow bloggers I have had the good fortune of encountering in my many travels during my last four years of covering the slow motion global train wreck caused by our widespread and vastly irresponsible burning of fossil fuels. In other words, the man, in my view, has the moral and intellectual authority that many lack. We should listen to him. During December, global sea ice extent coverage fell to an amazing 4.4 million square kilometers below average. This is far, far outside the 2 standard deviation range — passing to fully 8 standard deviations beyond the typical yearly average. Under past expectations of average, the statistical probability of such an event is approximately 1 in 30 billion. Of course, it’s pretty obvious at this time that a normal, natural variability is not the underlying cause of such a great loss of sea ice. That the warmth we added to the system has now greatly tipped the scales beyond anything representing what would have previously been considered a normal range. A range that since the year 2000 had already tended to dip below average more and more frequently. But one that has never seen so much ice lost. This area of sea ice removed — enough to change how the face of our Earth looks from space — is approximately the size of two Greenlands (Note that sea ice loss does not directly contribute to sea level rise. But loss of protective sea ice can contribute to land ice melt — which does add to rates of sea level rise.). And it has been roughly split between the Arctic in the north and the Antarctic in the south. If sea ice extent losses appear bleak, then sea ice volume losses seem even worse. Sea ice extent is a rough measure of the surface of the world covered by ice excluding gaps behind the leading ice edge. Sea ice volume, however, measures both the ice area — including gaps — and the ice thickness. Late 2016’s big drop included the approximate removal of 1/3 of the world’s sea ice volume when compared to 1981-2010 averages. In other words, 1/3 of all of the floating portion of the world’s cryosphere beyond the edge of anchored ice shelves had melted away during the period. In the north, extremely warm temperatures ranging from 2 to up to 7 degrees Celsius above average for the Arctic Ocean region have helped to drive these unprecedented fall and winter sea ice losses. In the south, warmer than normal surface conditions appear to have also helped to drive the amazing coordinate losses there. And overall, 2016 has shown warm to extremely warm conditions for both poles during a year in which global temperatures have spiked to around 1.2 degrees Celsius above 1880s averages. Under polar amplification — a condition associated with the human-forced warming of our world — scientists expected that the polar regions would tend to warm faster than the rest of the Earth surface. And during 2016, this global warming related condition presented effects writ large. The damage to sea ice, so far, has been monumental. And these losses have continued into 2017 — even if they are somewhat less below the record low line than during their period of maximum departure this past December. Sea ice loss generates its own form of amplifying feedback — in which already prevalent polar warming can worsen further. Less ice coverage means that during summer more of the dark ocean surface is presented to absorb the sun’s rays. This replacement of a white, reflective surface with a dark blue, absorptive one means that still more heat will tend to be trapped in the polar environment. In addition, during winter, less ice cover means that the warmer ocean beneath will tend ventilate more heat and heat-trapping water vapor into the polar atmospheres. And it’s this kind of self-reinforcing cycle that can tend to lock in the dangerous changes like worsening severe weather, worsening heatwaves in the middle and lower latitudes, and the increasing rates of land glacier melt and sea level rise that scientists have been warning about for so long. And it’s this kind of disruptive longer term climate trend that we are being drawn into at this time. 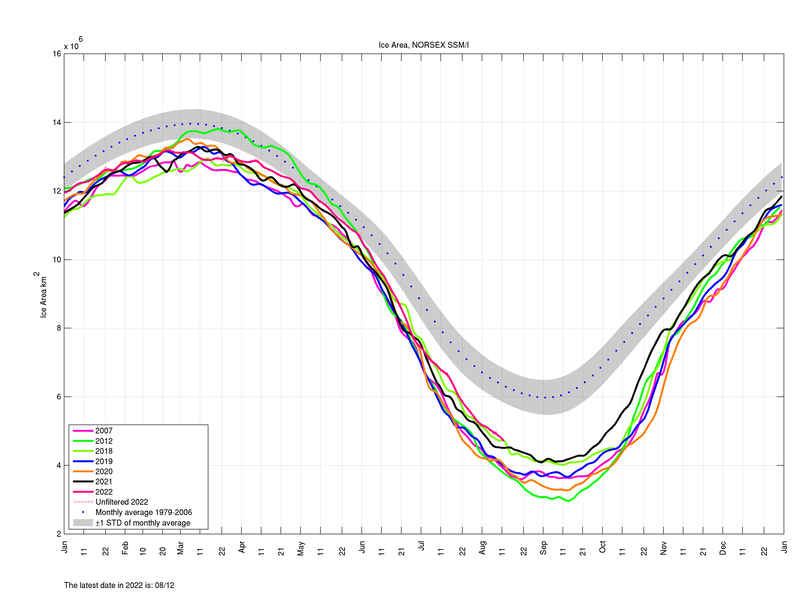 Nearer term, it appears that the polar heat which has already so greatly damaged the Arctic sea ice is set to stay. Over the next few days, the Arctic appears set to experience a powerful series of low pressure systems running in from the Barents side between Svalbard and Siberia. Neven warns that these storms will tend to push a considerable portion of the remaining thick ice out of the Arctic and through the Fram Strait. Over the next couple of weeks, global forecast models indicate that above freezing temperatures will tend to invade regions now covered by sea ice in Hudson Bay, Baffin Bay, and in the Chukchi Sea. Though the ice is trying to grow, such repeated insults will tend to keep ice coverage in record low ranges. If this trend of warmth, storms and ice export continues through February, March and April — as it has during October, November, December and January — then the set up for the 2017 melt season would be about the worst we have ever seen. And that would tend to increase the likelihood of new record minimums being reached during September all while hastening the day when the Arctic experiences near ice free conditions. Lets hope that doesn’t happen. But, so far, the trends for the winter of 2016-2017, from pole to pole, have followed along the lines of a near worst case scenario. Chaos is an apt word to describe the scene in the Arctic this week as one of the most powerful summer cyclones ever to form rages in a place that has just experienced a record-shattering influx of atmospheric heat. This storm is hammering the sea ice, pushing it nearly to the second-lowest extent on record. But worse may be still to come as a very weak and diffuse ice pack is predicted to face off against a storm that’s expected to significantly reintensify on both Friday and Tuesday. The Arctic. It’s a place we typically associate with frozen things. Due to the billions and billions of tons of heat-trapping gasses dumped into the atmosphere each year by burning fossil fuels, now it’s a place that’s thawing at a disturbingly fast pace. The region could best be described in these few words — record abnormal warmth in 2016. So far, 2016 has seen temperatures in the Arctic that are well above the warmest previous year ever recorded. This big spike in a decades-long trend includes, for this single year, about 35 percent of all the temperature rise experienced there since the late 1940s. It’s like taking more than a third of all the warming in the Arctic seen over the past 68 years and cramming it into just one year. It’s insane. Heat in the Arctic doesn’t just emerge there. It comes, largely, in the form of energy transfer. Heat-trapping gasses warm the atmosphere in an uneven fashion. The way these gasses absorb solar radiation results in more heat trapping during the dark of night. And the Arctic experiences a thing called polar night which lasts for months. As a result, the Arctic already gets a slightly more powerful nudge from global warming than the rest of the world. As the cold begins to fail in the Arctic, a number of amplifying feedbacks come into play that further multiply the warmth. As the Arctic heats up, its natural barriers to heat coming up from the ocean or from the south begin to fail. The more evenly-warmed surface of the ocean transfers some of its heat north and pumps this added energy into the Arctic air. The lower sea-ice levels cause this water to warm even more, its dark surface trapping more of the summer sun’s warmth than the white ice ever could. The polar Jet Stream begins to weaken as the relative difference between Arctic and lower-latitude temperatures drops. In the Jet Stream’s meanders, strong warm winds blow in from the ever-hotter continents and ocean surfaces of the mid and upper latitudes. It’s a simple physical property of the atmosphere that burgeoning heat often seeks out the cold. 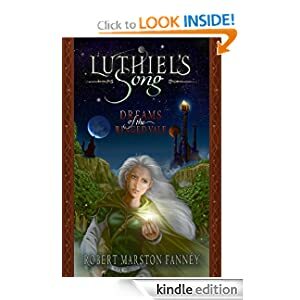 It rises as it flows toward the Pole, and when it collides with these chilly pockets, the result can be an atmospheric maelstrom. Such was the case earlier this week as a warm tongue of air flowed up into area of the Laptev Sea from Siberia. This warm flow tapped moisture from the Kara and Barents Seas and fed into a developing storm system (see article here). Pressures at the storm’s center rapidly fell and by late Monday, August 15th, had dropped to 966.5 millibars. The result was one of the strongest cyclones ever to form over the Arctic Ocean during August. The storm rampaged through the Arctic. Pulling in strong winds and heavy surf, it smashed the sea ice, driving daily extent losses to 110,000 square kilometers on Tuesday and greatly thinning a vulnerable tongue of ice running out toward the Chukchi Sea. Meanwhile, near the Pole, great gaps 50 to 100 miles wide have opened up, revealing water that is 80 percent clear of ice. The storm subsequently weakened, with pressures rising today into the 985 mb range. But over the next few days, the system is predicted to reintensify — first on Friday to around 971 to 978 mb as it approaches the Canadian Arctic Archipelago, and then again on Tuesday to around 963 to 976 mb when it loops back toward the Laptev. In each case, the storm is predicted to draw on heat, moisture, and low-pressure cells riding up from the south, with the first stream of energy feeding into this low from over the Beaufort and Bering Seas and northeastern Siberia, and the second running up from the Barents and Kara Seas, western Siberia and northeastern Europe (you can see the succession of lows and moisture here in this model run by Climate Reanalyzer). If this happens, we’ll be coming out of a situation where a warmth-fueled Arctic cyclone will have bombed to record or near-record strength on two to three separate occasions, all the while applying its buzz-saw winds, waves and Coriolis forces to the sea ice — a full-blown nightmare Arctic sea-ice melt scenario in the midst of a record-hot year. A recent report by expert ice observer Neven over at the Arctic Sea Ice Blog (which is very informative) finds that storm impacts thus far have been significant, if not yet quite as extraordinary as the Great Arctic Cyclone of 2012. Overall sea ice area measures (not just those in the Central Arctic Basin indicated above) according to Wipneus have dropped into second lowest on record just below the 2007 line. Extent, meanwhile, in the JAXA measure after falling an average of 90,000 square kilometers per day, is today at third lowest on record — trailing 2007 by just 30,000 kilometers. Tracking for end of year now appears most likely to fall into a range near 2007 in many measures. 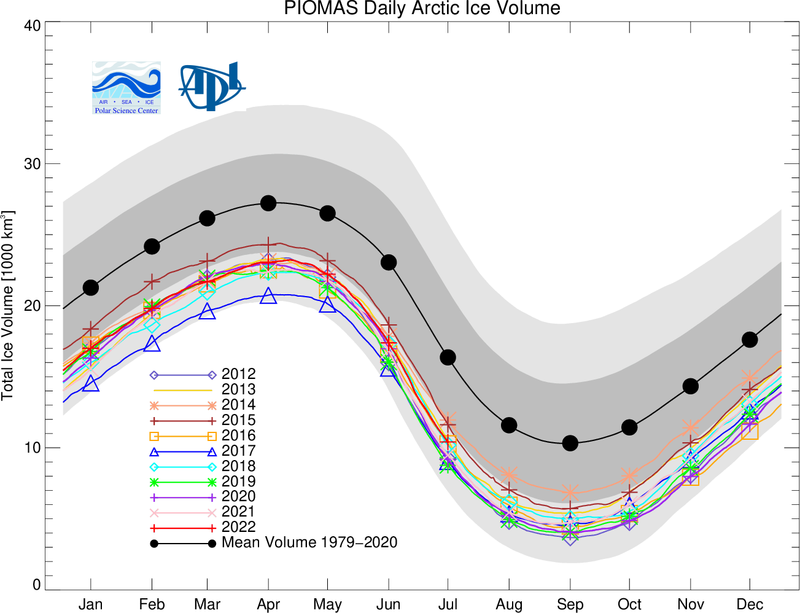 But the current storm appears to have provided a potential for a stronger downward trend for the ice in which some measures (particularly various regional measures) have the potential to approach or exceed 2012. One final point is that we are entering La Nina and such events tend to increase heat transport toward the Arctic and particularly into the Arctic Ocean. For this reason El Nino year +1 or El Nino year +2 can tend to present higher risk for greater sea ice melt totals. As such, and dramatic as the heat and melt in the Arctic has been for this year, it’s worth noting that what we may be watching is a set-up for 2017 or 2018 to see worsening conditions. La Nina is currently expected to be weak, so the related North Atlantic influence (NAO) that has been so devastating to the ice during the recent record warm years may be somewhat muted. We’ll have to see. 2016, however, is not entirely out of the woods. Thin ice in the Chukchi and an increasingly thin and diffuse pack extending from the Pole toward the Laptev remain very vulnerable to late season flash melt and compaction. Model runs today indicate the current set of storms tending to restrengthen on one or two occasions back to the 970s or 960s before finally ebbing on Wednesday. After this, some models show a tendency to flip toward a strong high pressure influence which would again wrench the ice (this time toward compaction). So the troubling 2016 Arctic melt drama is still far from over. Near zero sea ice by the end of melt season. The dreaded Blue Ocean Event. Something that appears more and more likely to happen during 2016 with each passing day. These are the kinds of climate-wrecking phase changes in the Arctic people have been worrying about since sea ice extent, area, and volume achieved gut-wrenching plunges during 2007 and 2012. Plunges that were far faster than sea ice melt rates predicted by model runs and by the then scientific consensus on how the Arctic Ocean ice would respond to human-forced warming this Century. For back during the first decade of the the 21st Century the mainstream scientific view was that Arctic sea ice would be about in the range that it is today by around 2070 or 2080. And that we wouldn’t be contemplating the possibility of zero or near zero sea ice until the end of this Century. But the amazing ability of an unconscionable fossil fuel emission to rapidly transform our world for the worst appears now to outweigh that cautious science. For during 2016, the Arctic is experiencing a record warm year like never before. Average temperatures over the region have been hitting unprecedented ranges. Temperatures that — when one who understands the sensitive nature of the Arctic looks at them — inspires feelings of dislocation and disbelief. For our Arctic sea ice coverage has been consistently in record low ranges throughout Winter, it has been following a steepening curve of loss since April, and it now appears to have started to fall off a cliff. Severe losses that are likely to both impact the Jet Stream and extreme weather formation in the Northern Hemisphere throughout the Spring and Summer of 2016. Since April 27th, according to a record of sea ice extent provided by JAXA, daily rates of sea ice loss have been in the range of 75,000 square kilometers for every 24 hour period. That’s 300,000 square kilometers of sea ice, or an area the size of New Mexico, lost in just four days. Only during 2015 have we ever seen such similarly rapid rates of loss for this time of year. However, this excessive rate of loss is occurring across an Arctic region that features dramatically less ice (exceeding the 2015 mark for the same day by about 360,000 square kilometers) than any other comparable year for the same day. In essence, extent melt is now more than a week ahead of any other previous year. It is two and half weeks ahead of melt rates during the 2000s. And this year’s rate of decline is steepening. Current melt rates, if maintained throughout summer, would wipe out practically all the ice. And, worryingly, this is a distinct possibility given the severely weakened state of the ice, the large areas of dark, open water available to absorb the sun’s rays as Summer progresses, and given the fact that Arctic heat is continuing in extreme record warm ranges. Furthermore, melt rates tend to seasonally steepen starting by mid June. So rapidly ramping rates of loss seen now, at the end of April and through to the start of May, may see further acceleration as more and more direct sunlight keeps falling on already large exposed areas of dark, heat-absorbing water. All throughout the Arctic Basin, these sunlight-absorbing regions take up far more area than is typical. The Bering has melted very early. Baffin Bay is greatly withdrawn from typical years. Hudson Bay is starting to break up. The Barents and Greenland seas feature far more open water than is typical. However, there is no region showing more dramatic early season losses than the Beaufort. There, ice continues to rapidly recede away from the Arctic Ocean shores of the Mackenzie Delta and the Canadian Archipelago — where a large gap has opened up in the sea ice. Now ranging from 70-150 miles in width, this area of open water consistently sees surface temperatures warm enough to melt sea ice (above 28 F or about -2 C). This great body of open water the size of a sea in itself has now created a new early season edge zone for the ice. 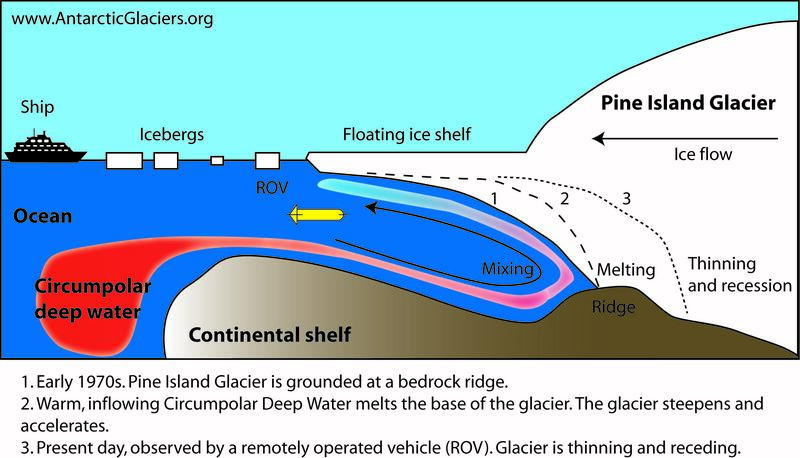 A place where a kind of mini-dipole can emerge between the more rapidly warming water surfaces and the cooler, reflective ice. Such a zone will tend to be a magnet for storms. And a low pressure system is expected to ride up an extreme bulge in the Jet Stream over Alaska and Canada and on into this Arctic zone over the next few days. Storms of this kind tend to hasten melt and break up of ice in the edge zones by generating waves, by pulling in warmer airs from the south, or by dropping liquid precipitation along the melting ice edge. And the fact that this kind of dynamic is setting up in the Beaufort in early May is nothing short of extraordinary. Further to the north, high pressure is expected to continue to dominate over the next seven days. This will generate further compaction of the already weak ice even as it allows more and more sunlight to fall over that greatly thinned white veil. Temperatures for the Arctic are expected to range between 2.5 and 3.5 C above average over the next seven days. Very warm conditions that will continue to hammer freezing degree day totals that have now exceeded an unprecedented -1000 since the start of the year in the High Arctic region above the 80 degree North Latitude Line. In layman’s terms, the less freezing degree days the Arctic experiences, the closer it is to melting. And losing 1000 freezing degree days is like removing the coldest month of Winter entirely from the heat balance equation in this highest Latitude region of the Northern Hemisphere. From just about every indicator, we find that the Arctic sea ice is being hit by heat like never before. And the disturbing precipitous early season losses we now see in combination with the excessive, extreme warmth and melt accelerating weather patterns are likely to continue to reinforce a trend of record losses. Such low sea ice measures will also tend to wrench weather patterns around the globe — providing zones for extreme heatwaves and droughts along the ridge lines and related warm wind invasions of the Arctic that will tend to develop all while generating risk of record precipitation events in the trough zones. To this point, the North American West is again setting up for just such a zonal heatwave pattern. Extreme heat building up in India and Southeast Asia also appears to be following a similar northward advance. Arctic sea ice volume hit near new record lows during February. That’s kinda a big deal. What it means is that whatever sea ice resiliency was recovered during 2013 and 2014 are now mostly gone. That record all-time lows for sea ice set in September of 2012 are likely to see a serious new challenge during 2016 and 2017. A flood of severe Arctic heat — flowing up through the Barents and Greenland seas in the East and over Alaska and the Bering Sea in the West — has been hammering the Arctic Sea Ice all Winter long. During February of 2016, new record lows in sea ice extent and area were breached. 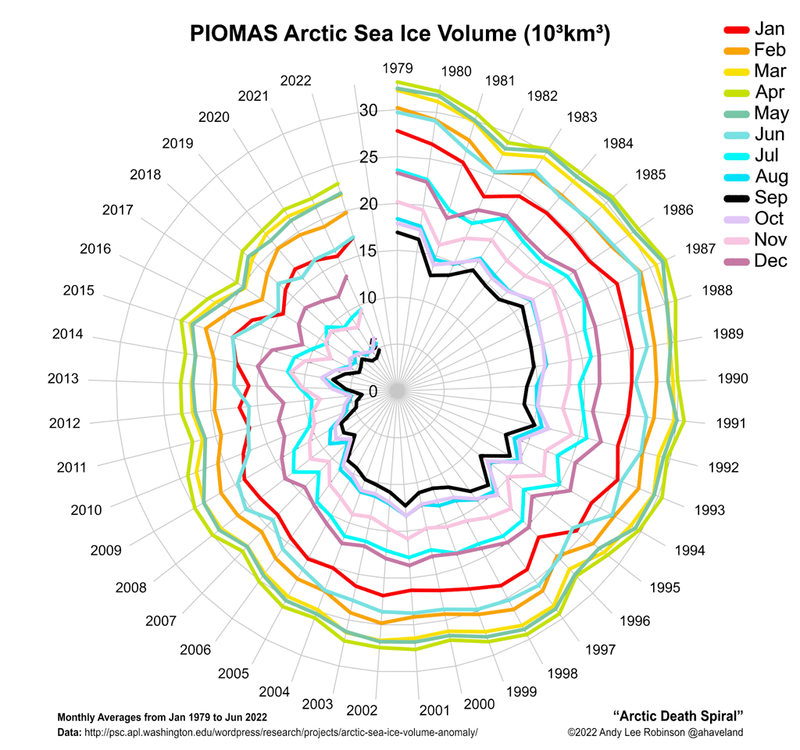 Meanwhile, sea ice volume — as measured by PIOMAS — also greatly declined to hover just above previous record lows for this time of year set in 2011. Looking at the above graph, provided by Wipneus, and based on model and observation data collected by the Polar Science Center, it appears that for some days during February, volume measurements even briefly descended into record low territory. As of early March, volume totals were in the range of just above 20,000 cubic kilometers — beating out 2012 as second lowest volume on measure and hovering just above 2011. Over the past ten days, abnormal warmth in the Arctic has faded somewhat. The lower Latitudes have heated up with the onset of spring and this has tended to strengthen the circumpolar winds. Perhaps the last bit of seasonal change that can have this effect given the alterations to atmospheric circulation produced by a human-forced warming of the globe and a particular high concentration of this added heat centering on the Arctic. Ironically, the time-frame of late February to mid-March is when the higher Latitudes in the Northern Hemisphere tend to experience their coldest temperatures. During 2016, we did see some of this atmospheric effect take hold. As a result, temperatures in the High Arctic above the 80 degree North Latitude line have fallen from record warm readings in late February to far above average warm temperatures over recent days. Today, another very strong pulse of warmth is building up through the region of the Barents and Greenland seas. This heat pulse representing yet another warm wind event for 2016. Another very strong south to north atmospheric draw flooding in front of yet another chain of strong low pressure systems in the North Atlantic. A flow of heat drawn up from the tropics and delivered to the Arctic that will briefly drive regions near the North Pole above the -2 C melting point of sea ice even as a wide wedge of 20 degree Celsius above average temperatures invades a region stretching from Northeast Greenland to the North Pole and back to the isle of Novaya Zemlya in Russia. Overall, the sea ice in this region is much weaker than normal. Volume is greatly thinned as both the relentless heat influxes and strong sea ice export through the Fram Strait this Winter has leeched the area of thick ice. Most sea ice measures show a loss in concentration and volume for this area. But we’ll know more as the Earth tilts back toward the sun and visible satellite coverage again takes in the entire Arctic. Given atmospheric changes taking place with Spring — where Continental and lower Latitude warming hold greater sway over atmospheric circulation — this may be the last burst of heat we see through this zone that produces such high temperature anomalies. A grand finale for the record warm Arctic Winter of 2016. To be clear, long range model forecasts do identify far above average sea surface temperatures and above average 2 meter air temperatures for this region through Spring and on into Summer. However, the Arctic overall is not as capable of producing such high temperature anomalies during Summer as it is during Winter when the human supplied greenhouse gas overburden and the related warming of the oceans holds a much stronger sway — re-radiating an insane amount of heat throughout the long polar night. To this point, it appears the Arctic may be in for a brief respite on the 3-7 day horizon. GFS model runs indicate overall cooling for the region above the 66 North Latitude line and temperatures above 80 North may see their first period of near average temperatures since late December of 2015. This respite for the High Arctic, though, comes as temperatures in the Sea of Okhotsk, the Bering, and along Hudson Bay are expected to warm. It’s a mixed signal that may continue some of the very slight Arctic sea ice rejuvenation we’ve seen during March — with sea ice area still in record low territory, but with sea ice extent edging back to second lowest on record and just slightly above 2015. To be clear, we’re at a very low launching pad for the start of melt season in 2016. Record low or near record low sea ice volumes in February and continuing record low area show that sea ice resiliency is pretty terrible at this time. Furthermore, Northern Hemisphere snow cover totals also at or near new record lows hint that warming of the land masses surrounding the Arctic may be very rapid come mid to late March and throughout April. To this point, 10 day Euro model runs show a tendency for rapid warming over the Northwest Territories, Alaska, the Bering Sea, the Sea of Okhotsk, the East Siberian Sea, and far Eastern Siberia during this period even as the thaw line pretty much everywhere jumps swiftly northward. A fading record El Nino in the Eastern Pacific will also tend to result in ample excess Equatorial heat heading northward. As a result, the overall risk of strong sea ice melt through the Summer of 2016 remains very high.